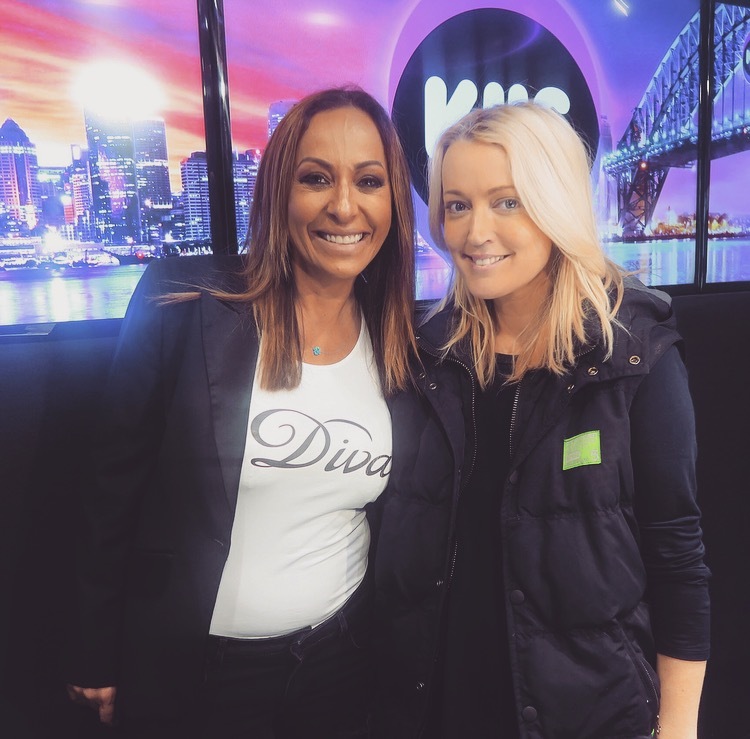 Following on from the Jackie O / disgruntled hairdresser saga from yesterday, Jackie Henderson’s co-host Kyle Sandilands thought it would be a right laugh to bring the hairdresser onto the show to confront her live. Carole Haddad worked on hair and make-up for Big Brother back in 2008 when the radio duo hosted the show, and said Henderson was a “diva”, the “quietest assassin in Australia” and a “black widow”. “You actually totally ignored hair and makeup,” the hairdresser said. “Not to turn up to hair and makeup, I thought that was rude. So in the spirit of closure, Sandilands flew Haddad from Brisbane down to their KIIS 1065 Sydney studio as a surprise for Henderson. Wearing a blindfold, Henderson was made to guess who the mystery guest was, with Carrie Bickmore and Samantha Jade her initial guesses. Ironically, Haddad came sporting a t-shirt that read ‘Diva’. The two had it out on air, with Kyle as referee, and eventually came to an understanding – though we don’t expect the pair will be hitting the town for a few cocktails any time soon. Both the initial confrontation and follow up prank from Kyle come as no surprise given the pairs tendencies to stir up controversy, including swearing prolifically on radio, storming out after on-air fights, and spreading nasty rumours about AFL players.